Don't neglect your vehicle's electronic systems - trust our experts to repair your vehicle properly the first time around! A poor driving experience can often be related to a malfunctioning computer or driving controls. 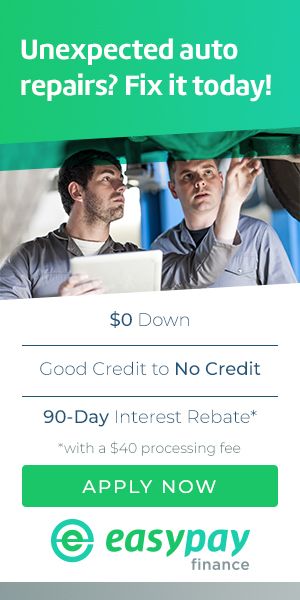 Come to Darrell's Auto Sales & Services to ensure your vehicle is in top driving condition. Today, car manufacturers include at least one computer in motor vehicles. This computer's main function is to monitor and adjust engine and transmission operations. The computer receives input information from different sensors. The computer controls spark plugs, idle speed, and fuel injectors so as to get you the best possible car performance. Failure of the car computer will greatly affect the things it controls. To get the most out of your car's computer, have it evaluated regularly for updates and proper operation. If it is already failing, have it repaired or replaced. To have your car's computer handled by experts, visit Darrell's Auto Sales & Services in Wallingford, CT 06492 today. Darrell's Auto Sales & Services has state-of-the-art equipment to provide computer reflashing to our customers in the Wallingford area. The primary reason to reflash a computer (which basically means updating or reinstalling its software) is that an update has been issued by the manufacturer. It's a very simple procedure, and there may be minor updates that the car hasn't had. The manufacturer may have tweaked the transmission-shifting algorithm or some other parameters that are not crucial but may bring slight improvements to drivability, mileage or emissions. Since auto manufacturers are coming out with automobile updates every day, there may be a reprogram available for your vehicle. 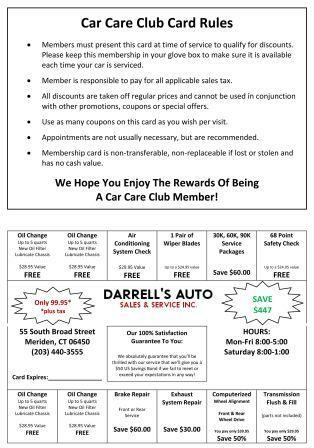 Stop by Darrell's Auto Sales & Services or call us at 203-626-9741 to schedule an appointment! Mechanics at Darrell's Auto Sales & Services are able to diagnose all the electronic parts in your car. For expert diagnostics services on your car's electronic devices, visit Darrell's Auto Sales & Services today. Drivability is the degree of smoothness and steadiness of your car's acceleration. Most modern cars are fitted with on-board computers that continuously check the readings from various sensors. In case of drivability problems, you will receive a warning message on your car's dashboard. To have your car diagnosed for drivability issues, visit Darrell's Auto Sales & Services in Wallingford, CT 06492 today. At Darrell's Auto Sales & Services, we have the necessary tools, training, and technology to diagnose and address your car's drivability issues. Basically, an engine control system is an on-board computer in your car. Like all computers, the engine controls are composed of hardware and software. Automotive engine control systems are responsible for regulating exhaust emissions, and providing increased fuel economy. To get the best out of your car's incredibly powerful technology, make sure engine controls are working properly. To check if your car's engine controls are working properly, call Darrell's Auto Sales & Services today.